Peyton, 2 years old. 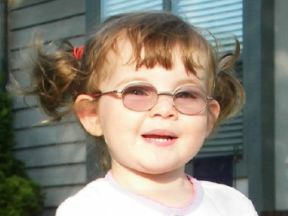 She learned she needed glasses for farsightedness and esotropia the day after her second birthday. Her glasses are Fisher Price Marshmallow from Optometric World.